*This post may contain affiliate links, which means that if you click a link and make a purchase, I may receive a small commission at no extra cost to you. 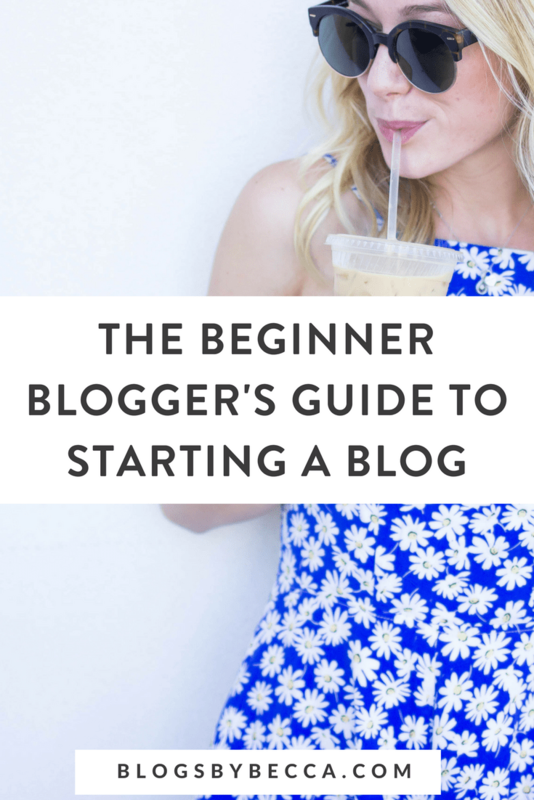 First things first when you're starting a blog. You need a domain name/URL and, if you're using WordPress.org (which is different than WordPress.com), you need a hosting provider. There are a lot of providers out there, but my recommendation is Siteground. Siteground has fantastic customer support, which is important with this techie stuff. Don't worry too much about setting up your hosting provider when you're first starting a blog. It can be a little tricky, but Siteground customer support is really great. Once you get it set up, you pretty much don't have to worry about it anymore. 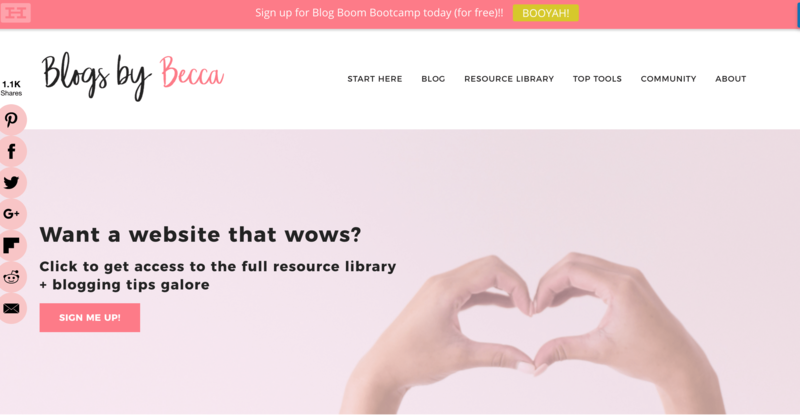 While you're starting a blog, set up your email so it's like “hello@blogsbybecca.com” (as opposed to “blogsbybecca@gmail.com”). It looks much more professional this way. You can set this kind of email up within your hosting provider (ask customer service if you're confused), or you can buy a Google G Suite membership and do it that way. You can arrange to have your emails forwarded to your regular Gmail account (or whatever you use), so it's simple to manage all of the email. Before you really start building or promoting your site, you've got to get some sense of your branding. 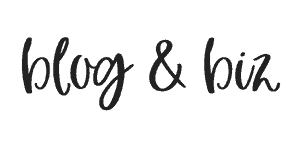 Starting a blog is nothing without branding. 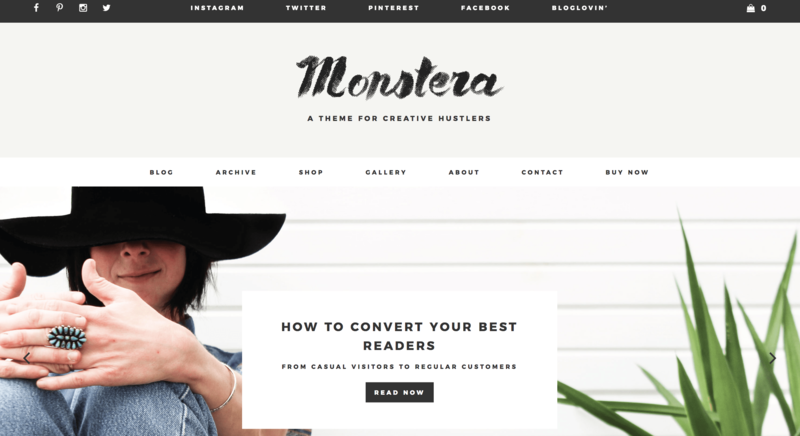 You should have a few central colors and 2-3 fonts that you use consistently across pretty much everything–your blog, your social media promotions, etc. If you're stumped, try using Pinterest (search “color palettes” or something like that) to get ideas. It's important that your brand be cohesive, so you don't want to be using 17 different colors every other week. It's easier if you can figure it out up front. 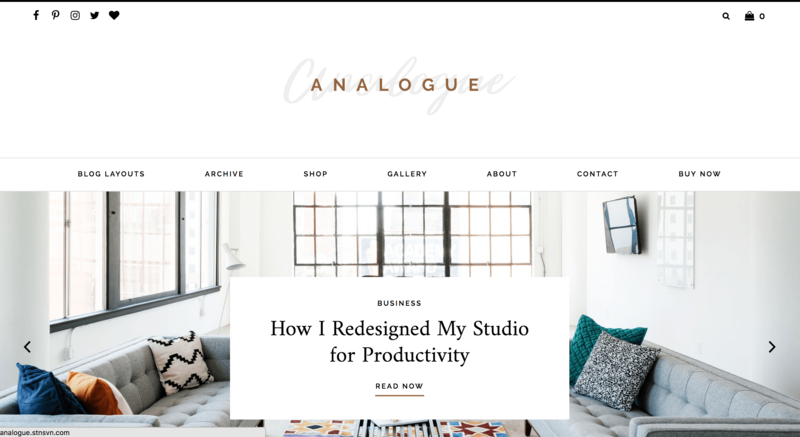 Now it's time to really start your blog by building your site. If you're using WordPress.org, you need a theme (unless you're getting a custom-built site, but I'm assuming you're not). There are thousands of themes out there, so you've got some searching to do. The best thing you can do is look around to get a sense of what you like. 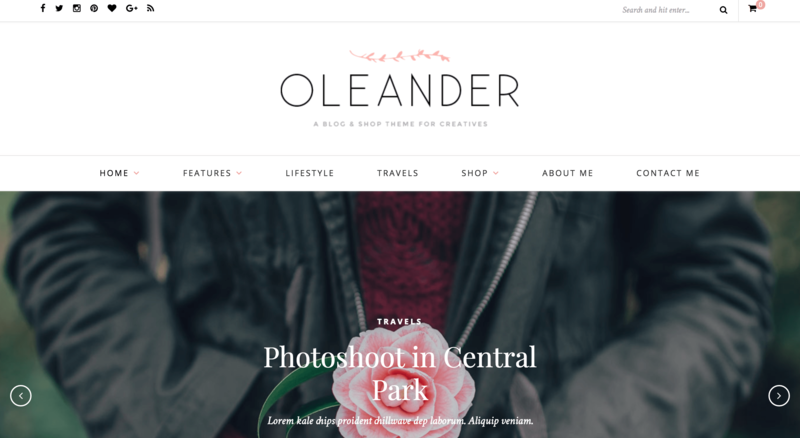 Make sure that your theme has the elements that you want (for example, does it support a sidebar?). Most theme websites will have a live demo of the theme, so really explore it. Once you install and active your theme, you'll want to customize it. Put in your own brand colors, and your own content. In some themes you may also get to play around with different layouts or features. Explore all of your options until you love how it looks. You're going to want to install some plugins. Plugins add extra features to your blog, and there are thousands of them that do pretty much anything you can think of. Those are just a few of the ones I think are important, but there are tons of others out there, so go exploring! You'll want to set up a Google Analytics account. Google Analytics allows you to track all kinds of information about who is visiting your site, where they're going, how long they're staying, etc. It can be really useful. Set up an account and then hook it up using the plugin that I mentioned above. Now it's time to start writing blog posts! Write away, and make sure to format them by doing things like using headings and making short paragraphs. What you write is up to you! 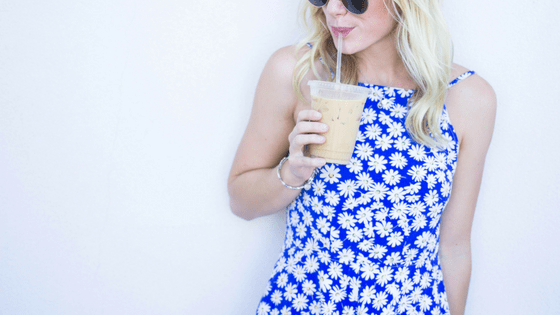 One of your most important assets as a blogger is your email list. You can't send these emails out through Gmail, you need a dedicated email provider. My favorite provider is ConvertKit. ConvertKit is made for bloggers, so it makes everything so easy. You can segment your audience so that you know who clicked on what link and who is interested in XYZ topic. You can read my post about it here. If you're not quite ready for ConvertKit, then you can always go for MailChimp, which is free for a certain number of subscribers. Set up some automated emails so that when someone subscribes they get a welcome email (or multiple emails). Now that you've got an email provider, you need a way for people to get onto your list. You should give people multiple opportunities to sign up. Include a form in your footer or sidebar or right on your homepage. Use an announcement bar or a welcome mat. Include opportunities right in blog posts. One excellent way to get people to sign up for your list is to offer them something in return. That's a content upgrade. It could be a PDF checklist, workbook, resource guide…pretty much anything that can be emailed out. You can set up your email provider so that everyone who opts in for your content upgrade gets it emailed to them automatically. A good way to insert content upgrades right into your blog post is to use Leadpages, which I wrote about here. You can design content upgrades using programs like Canva, Google Docs, or Apple Pages (or the Adobe softwares, if you're more advanced). 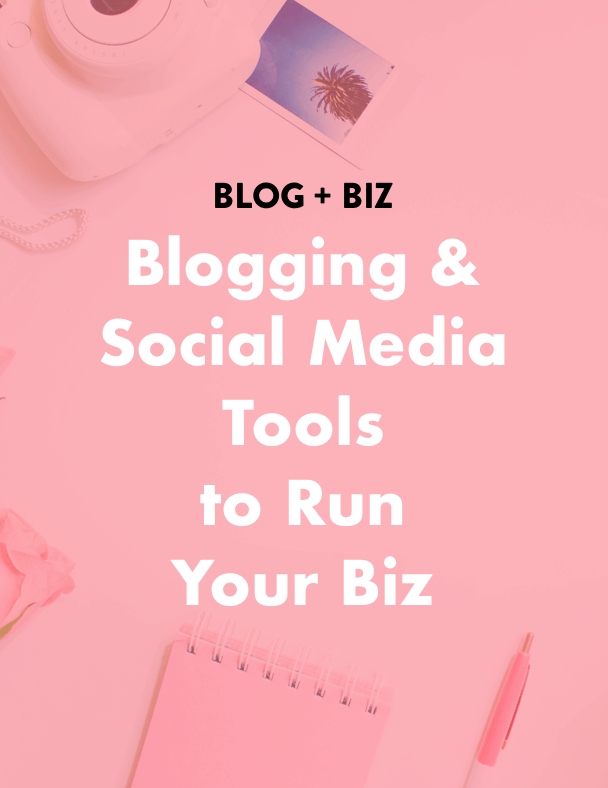 Once your blog is up and running, you'll want to be active on at least some of the main social media platforms. Facebook, Twitter, Instagram, and Pinterest are the usual contenders. And YouTube, if you plan on making video content. Set up accounts using your blog name and get to work producing great content. Those are the basic steps of setting up your blog. Of course, it's possible to go much more in depth into these topics too. If you're interested, grab a spot on the waitlist for my signature program Break Into Blogging, which takes you through this whole process. Any other tips I missed?? Let me know in the comments! I’ve played with Stencil a little bit, but never got into it as much as Canva. Maybe I should give it another go though! so much to learn about blogging thanks for sharing this! This is an awesome guide and really comprehensive. Thanks for sharing! For someone who is in charge of their company’s blogging and is still fairly new to it, this article was great, very informative, and accurate. Thank you!